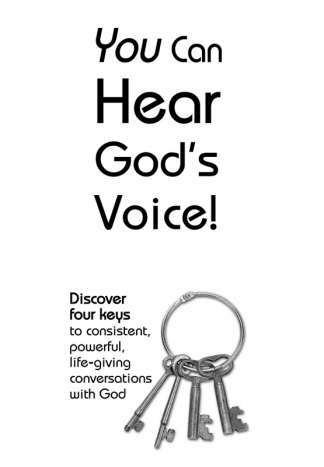 A simple review of the four keys to hearing God's voice, on one single page, front and back. 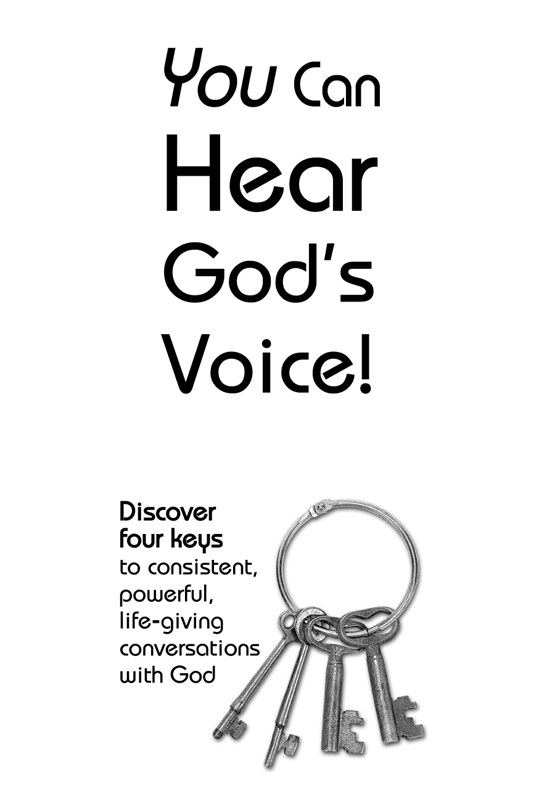 Easy to hand out to another to get them interested in hearing God's voice. Nice for your own personal review. 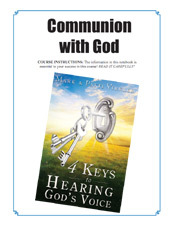 This tract can be downloaded freely, or purchased for 10 copies for $1.00. Sometimes a book is just too much, and a wallet size card is too little. So this one page front and back becomes just the right amount to whet someone's appetite to learn more about how to hear God's voice. Or perhaps you might just want a one-page review yourself to consolidate and crystallize your own thoughts. So here you have it. A one-page tract which you can download free here. 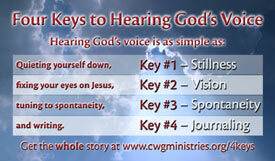 Use all four keys as you pray and you will easily hear God's voice. To help you when you picture yourself together with Jesus, see yourself as an eight-year-old child. (Jesus did say that if we want to come to Him, we must come as a child.) This helps us sidestep any adult blocks which would hinder us from easily hearing His voice. If you posture your heart properly, the flow within will certainly be the Holy Spirit! Lord, I am thirsty for Your voice. Lord, I fix my heart upon You. I tune to flow, drinking in Your words. 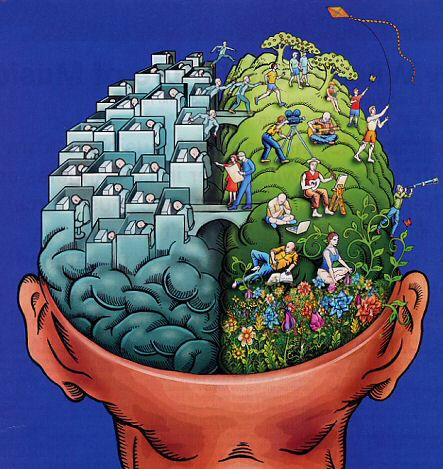 I believe the flow within me is You! You can ensure that what you have written came from God by sharing it with your three spiritual advisors to confirm that their hearts bear witness that your journaling is from God.